Chris Matthews: George W. Bush A Man Of "Limited Mental Power"
Earlier in the week MSNBC's Chris Matthews said President Obama had an I.Q. near 160. "The scariest thing, a guy of limited mental power, George W. Bush, talked this country [into the war in Iraq] ... that's the scariest part," Chris Matthews said on HBO's "Real Time" with host Bill Maher. "This wasn't Winston Churchill. This was a guy, about a little bit below average in ability and he talked this country into war." 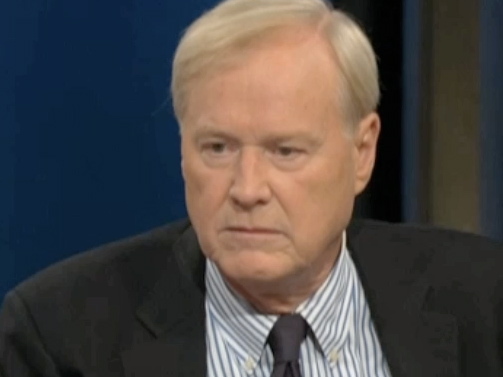 Matthews says Bush "got away" with lying about Iraq having something to do with 9/11. "You think, you think anybody but George Bush -- George W., with his limited mental power surrounded by the neocons -- would have taken us into that war," Matthews said to conservative columnist Russ Douthat. Matthews tells Douthat to make a list of "high I.Q. people who would have taken us" into Iraq. Matthews: Weiner's Resignation "Reminded Me Of The Saddam Hussein Hanging"